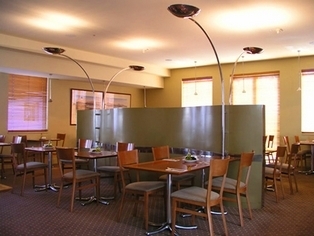 Salamanca Inn, the perfect meeting location on the colourful waterfront of Australia's southern most capital. 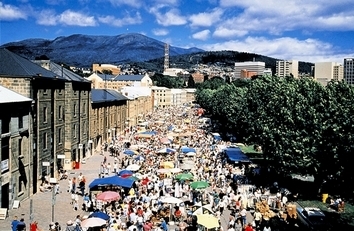 Surrounded by a host of cafes, history and activity, yet only a short stroll from Hobart's central business district. An award-winning transformation of the early 1930s pier building, Somerset on the Pier integrates the exterior of the historic waterfront landmark with clean, striking modern architecture. Somerset on the Pier is conveniently located just a few minutes walk from Salamanca Place, Battery Point, Cruise centres, the Tasmanian Museum and Art Gallery, Constitution Dock, Sullivan?s Cove, Hobart?s central business district and its finest restaurants and caf?s. 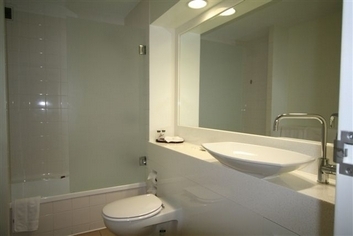 These spacious serviced residences offer 56 non-smoking rooms for both the individual and families. Each apartment features unrivalled panoramic water views of the River Derwent, Hobart?s waterfront and historic Sullivan?s Cove. Featuring spacious loft style apartments with contemporary d?cor, Somerset on the Pier offers a welcome alternative to a hotel and is ideal corporate housing for the executive and international family for a short holiday or extended stay. When staying at Somerset on the Pier our staff will use their local knowledge to help you quickly settle into the city and integrate with the local culture. Our residences provide environments that are a comfortable place to escape and immerse yourself into the city. 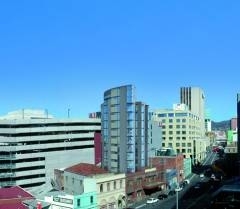 Open in December 2009 as Hobart's newest luxury accommodation, Hotel Collins is located in the heart of the city but only a short walk to the historic waterfront district. Situated adjacent to the historic Wapping precinct and only a leisurely stroll to popular Salamanca Place the hotel will feature 80 fully air-conditioned, modern, sophisticated and comfortable guest rooms and suites. Offering the flexibility of hotel, studio and one bedroom self catering apartments choose the style of room and facilities to suit your needs and budget whether on business or pleasure! 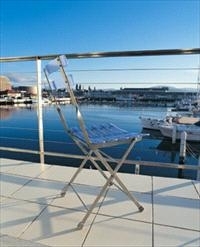 This multi-storey property also boasts views of the waterfront and Mount Wellington from rooms on higher floors. Car parking for guests is right next door in a 24 hour access secure under cover car park available to house guests for a nominal cost. 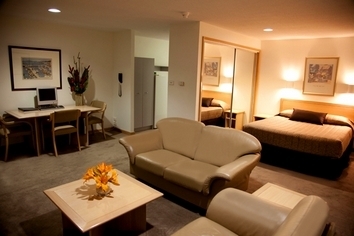 Hotel Collins offers a business lounge, modern conference and meeting facilities complete with wireless internet access. One of the unique things about travelling in Tasmania is the chance to stay in homes that tell a rich story of Australia's early settlement. The Lodge on Elizabeth was built in 1829 as a large family home for the colony's first auctioneer. 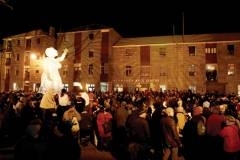 It has also been private boys' home as well as home to a number of Tasmania's historical figures including one Premier. When you stay at The Lodge you get to see what life was like for a well-to-do 19th century family. Each of the 13 rooms has a different look and feel: all have ensuites and some of the more luxurious rooms feature spas, four-poster or half-tester beds small canopy. Once you arrive and park your car you can choose to relax and explore Hobart on foot. The Lodge is in North Hobart and within a 10-minute walk there are at least 30 restaurants and cafes, and the walk into the city is all downhill! Prices include a hearty continental buffet breakfast. 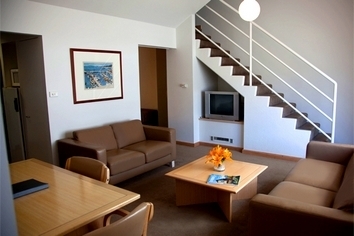 The Hobart Macquarie is located in the city centre and is within walking distance to historic Battery Point and the renowned waterfront area of Salamanca Place. 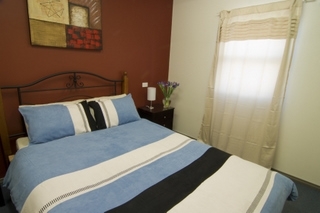 The property offers executive or family accommodation with quality furnishings throughout. 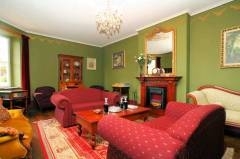 Guests may enjoy panoramic views of the Derwent River, the city or spectacular Mount Wellington. 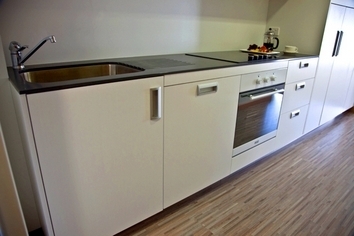 A truly unrivalled property located in the heart of all that Hobart has to offer only metres to the city's historic and vibrant waterfront and Salamanca Place which abound with restaurants, cafes, galleries and shopping and even closer to our increasingly cosmopolitan CBD, its shopping and night life. Luxuriously appointed Studios and Executive Suites feature kitchenettes or full kitchens, queen size beds, spa baths, mini bars, modem points with Broadband access, individual climate controls, complimentary satellite TV, irons and boards, hair dryers and more. All facilities are non-smoking for the comfort of guests. Quest Savoy is ideal for leisure travellers or business executives who enjoy the experience and personal yet professional ambiance only achieved in smaller properties. Enjoy discounted entry to the Savoy Therepeutic Baths featuring extensive pools, spas and massage facilities located within the complex. Secure parking is available at the nearby 24 hour security controlled car park for a small daily fee. 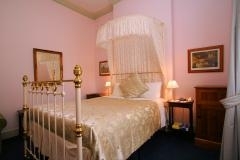 Quality Inn Macquarie Manor is an historic property listed on the heritage register of the National Estate. Originally constructed in 1875 for a Dr Bright, the property has been totally refurbished whilst maintaining its heritage values. 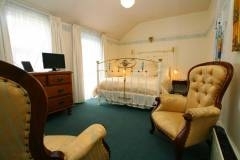 Featuring 18 rooms and suites, all tastefully decorated in Victorian and Edwardian themes, the property is centrally located close to government offices, the financial centre of Hobart and close to the Salamanca Place precinct. Family owned, managed and operated, the property welcomes visitors to an authentic Tasmanian Heritage Experience.